I have been a VIPKID teacher for over a year now. I know when I first started, I wasn’t sure how legitimate it was or if it was a scam or not. 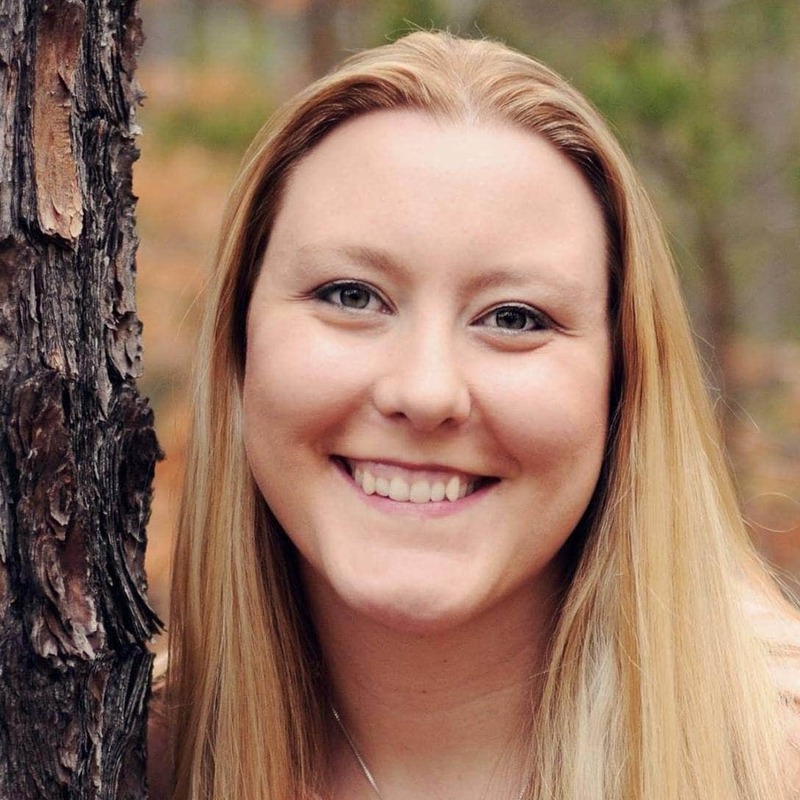 I wasn’t even sure I would get hired since I had never been a teacher before. I am here to tell you everything about VIPKID and why it’s a great way to earn extra cash. If you have been looking for legit work-at-home jobs to do while your kids are asleep, VIPKID is the perfect thing for you. I am going to explain to you why I love it and how it all works. What if I don’t speak Chinese? I have worked for VIPKID for over a year now and I have loved it. It’s an easy way to make extra cash every month. It does have some cons but overall it’s a great company to work for and it pays really well. VIPKID is a company where you teach kids in China how to speak English. No, it is not a scam. It is a legitimate company that employs thousands of teachers. You do need a bachelor’s degree and it does not have to be in teaching. You do not need any formal teaching experience. I have never been a formal teacher. I did however put job experience where I trained people as my experience. You do need to have reliable internet. The requirement is 20 mbps however, mine is half of that and I did not have any connection issues. The Chinese government is changing some requirements and you will have to get a teaching certificate which can be done through VIPKID once you are hired. You can live anywhere but can not have a strong accent. You have to be a native English speaker. You do not speak Chinese in the class. This is a full immersion program and the children are only allowed to speak English in the class. The rate in which you get paid depends on a couple of factors but is primarily based on how you do in the interview. The rate is $18-$22 an hour. There are several bonuses that you get as well that is factored into that rate. You even get paid extra for short notice classes. They also pay you for recruiting new teachers once you are hired. There is the potential to make a full-time income. You can choose between getting paid once a month or twice a month. The hours change depending on what levels you teach and the time of the year. However, the peak hours are typically early mornings EST and late evenings on Friday and Saturday. On the east coast the peak times are 5am to 9am everyday and 7:30pm to 9am on Friday and Saturday. The schedule is up to you and what you choose to work. The hours that you can open time slots are 7:30pm EST through 8:30am EST. Each class is 25 minutes but can run a few minutes over depending on the child. However, the time slots are every 30 minutes. If you book classes back to back, you will have to finish in 25-27 minutes in order to do feedback and move to the next class. There is no set schedule and you can open any time slots that you want. It’s extremely flexible. The classes are open two weeks in advance to the students. On Sunday night the following week is open for them to book. The contracts are for 6 months at a time. The classes are really fun. To be honest, when I got my first class, I was dreading it. I needed the money but I didn’t know what it would be like. Once I did the class, I loved it! For the most part, the kids want to learn and have fun. You can be as silly as you want but you don’t have to be extreme. I am an introvert and not crazy in my classes. You teach the lesson that VIPKID provides, it’s that easy. There isn’t much prep work besides deciding on any props you want to use and a reward for the student. The new system has rewards in the lesson but most of the kids like the extra reward if you do one. The classes are one-on-one and follows the material provided by VIPKID. You do not have to create any lesson plans. In Chinese culture, it is your job as the teacher to control the students. For the most part, the students are well behaved. It is important to keep the little one’s engaged and interacting with the lesson. Sometimes the older kids don’t want to do it and will be distracted by playing games. It is your job to tell them to stop or stop the lesson. It is important to add this in the feedback so that the parents are aware of the issue. If the behavior is extreme or the child is not participating at all you can contact support during the class and they will contact the parents. If you have to cancel a class, you can within 24hrs. If you cancel with less than 24hrs notice, they will dock your pay. The amount depends on if it’s within 2 hours or not. The hiring process has changed a little bit in the last year. The first thing you do it fill out the application. Once you pass that initial screening, you will move on to an interview. For the interview process, you can do a live interview or recorded. Then you move onto a mock interview that is scheduled later. They want you to start teaching so they make the process somewhat forgiving. They will give you feedback and give you things to work on. If you don’t pass the first mock, then they give you another chance. Then they will give you another chance of going through another process to get hired. It can be stressful but just relax and have fun with it. You will need a computer obviously but there are a few other things that you will need. It does not require much and you can start with very little. You will also need some kind storage solution. I taught for months in my dining room and set up a few things behind me to make it look like a classroom. I would recommend doing a live interview. I feel that it is more forgiving than doing a recorded interview. Plus you get instant feedback from the interviewer. Take some time and practice the lessons that you will be teaching. Do not get stressed about the timing though. The interview itself is only 7 minutes long. They will cut you off and have you jump around. It is better to practice timing with the mock interview but it is not the most important thing to worry about. That is it. Don’t worry if you don’t have a proper headset but you do have to have something for the interview. I used my Apple iPhone headset for the interview. I didn’t want to buy anything until I got hired. Practice being fun and asking follow up questions on the higher lesson. The lesson for the younger age group it is important to be fun and smile. The older kids it is important to ask follow up questions. For my background, I had a map of the USA that I got for $1 at Dollar Tree. You do not have to have an elaborate background but have something. What lots of different YouTube videos but don’t try to copy them. Use their tips and be yourself. They can be over the top dramatic and you don’t have to be that way. Once you get hired, it will take some time and practice to get the timing down. Don’t overbook yourself at first because you will run over and be late to other classes. Review the lessons ahead of time and prepare for each one until you get familiar with the material. Have fun and work on building up repeat students. Take lots of workshops and learn as much as you can. It can be slow at first but it isn’t always that way. It took me about 2 weeks to get a full schedule. There are some great things about VIPKID. However, there are a few cons. The parents choose the teacher so there is no guarantee that you will get booked. However, the more you open your time slots and the more you teach, the easier it gets. Qkids– they pay a little less than VIPKID and they require 6 hours a week. However, they pay you for training where as VIPKID does not. You also do not have to have a degree as long as you are working on getting a degree. EF– they pay even less and require a teaching certificate before the first contract. If for some reason you don’t get hired with VIPKID, these are great alternatives. You could also sign up for more than one and see which you like better. 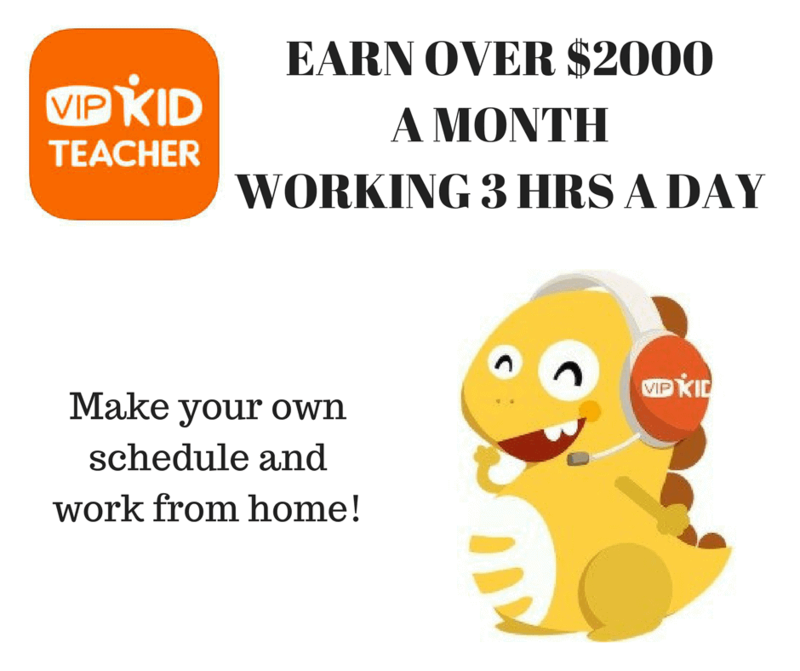 If you are interested in making money from home, VIPKID is a perfect option. The flexible schedule and hours are perfect for working around your kid’s schedules. 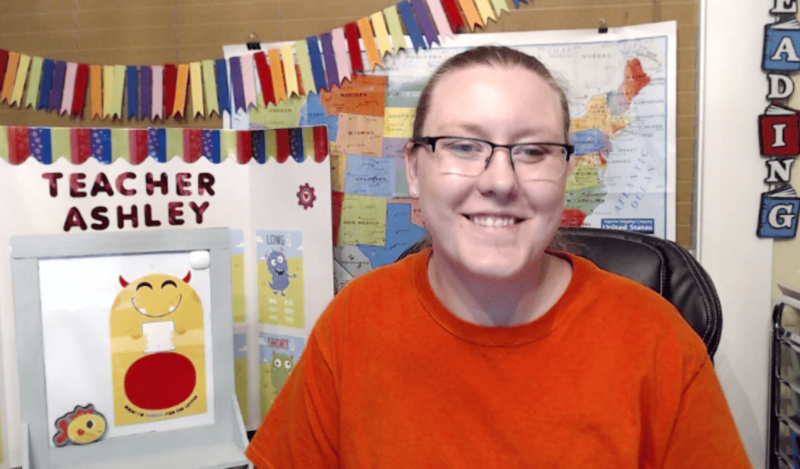 I hope that this VIPKID review helps you take the leap and apply today. Start earning some extra money this year to help you save money or pay off debt! Thanks for sharing. The timing was great, my wife told me last night she wanted to sign up. She is a 4th grade ELA teacher, so this is probably a great side hustle for her.